Talegaon Dabhade is a small principality that borders the city of Pune, in the modern state of Maharashtra in western central India. There was a time when this land had a ruler (a jagirdar) of its own. They were known as the Sarsenapati Dabhades, the traditional commander-in-chiefs of the Maratha empire. Yesajirao lived in the first half of the seventeenth century and was the earliest known ancestor of the Dabhade family. He was the son of Bajajirao Dabhade, the mukadam of Talegaon village in the last half of the sixteenth century. 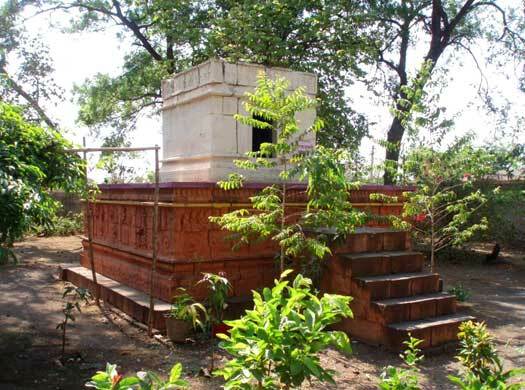 Not content leading the sedentary lifestyle in his rather peaceful village, Yeshaba took up service as the personal attendant of Chatrapati Shivaji maharaj, the first Maratha king. Yeshaba soon rose to the rank of Shivaji's personal bodyguard and became one of his most trusted aides. After Shivaji's death, Yeshaba took to tutoring his sons, both Sambhaji and Rajaram, while his own children, Khanderao and Shivaji (from his wife, Valahibaisaheb), became their pages and playmates. After Yesajirao's death, his family was represented by his elder son, Khanderao Dabhade. Known more simply as Sarsenapati from 1717 to 1729, he was at his height in the late seventeenth century. Shivaji's son, Sambhaji, was killed by the Mughals while another son, Shahu, was taken captive. Thereafter Sambhaji's younger brother Rajaram became king in 1689. He and his successor, Shivaji, ruled the Maratha empire until Shahu, the son of Sambhaji, returned to claim his rightful kingdom in 1707. The Dabhades transferred their services exclusively to Rajaram and his wife, Tarabaisaheb. During this time, Rajaram found himself trapped at Panhala fort while it was being besieged by the Mughal forces led by Zulfikar Khan. Fortunately for Rajaram, the Dabhade family was there alongside him. The two brothers, Khanderao and Shivaji, disguised themselves (and Rajaram) as grass cutters and carried their master to safety. Rajaram's health was frail and may not have made it if he had not been literally carried by the two brothers, covering, it has been said, almost forty miles in a day. As an additional note, Shivaji was later killed in battle at Dahihade. The king, grateful for the service of the two brothers, granted the already-existing jagir of Imamura, Erase, and Dhaka villages to the Dabhades, plus additional pataki/kukri rights for the talks of Janna, Harishchanda, Poona, Akola and Maval. 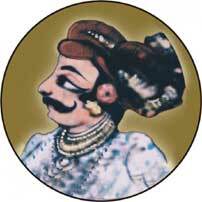 Khanderao was also awarded the title 'Sena Khas Khel', or chief of the royal guard. In 1700, when Rajaram died, his widow, Rani Tarabai, took over the reins of the Maratha kingdom and the Dabhades served under her leadership. Later, after the death of Mughal Emperor Aurangzeb, the Mughals released Sambhaji's son, Shahu, from prison, supposedly as a goodwill gesture towards the Marathas. But Rani Tarabai, who had ruled the kingdom for seven years, saw in Shahu a threat to her supremacy. She ordered Khanderao to meet Shahu in person (as Khanderao had been well acquainted with Shahu as a child), and expose him as an impostor. To her chagrin, Khanderao was quickly able to determine that Shahu was indeed the son of Sambhaji and therefore the true king. Khanderao joined Shahu's cause against Rani Tarabai. Shahu soon declared Khanderao his sarsenapati (commander-in-chief of the army), and granted him a sardeshmukhi of 104 villages of the parganas of Panner. Khanderao later undertook the Gujarat campaign and, in conjunction with the nizam, also scored a decisive victory over the Syed at Balapur (in 1720). Gujarat was soon one of the major areas of activity for the Marathas, all thanks to Khanderao Dabhade and his men, important figures such as Pilaji Gaekwad, Kanthaji Bande, and others. But by the time the campaign was almost over, Khanderao was an exhausted old man. He requested that the king transfer his title of sena khaskhel to his eldest son, Trimbakrao, which was of course immediately granted. Khanderao then retired to his village of Talegaon, where he died. 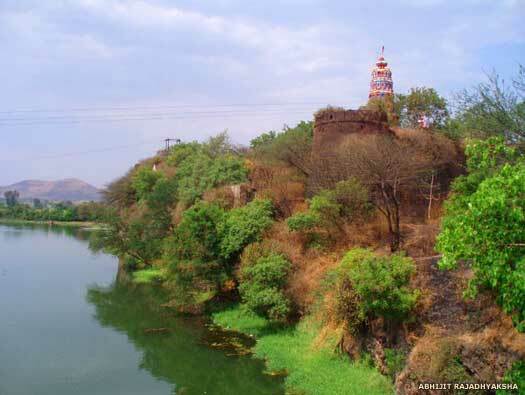 Khanderao Dabhade also constructed the famous fort of Induri at Talegaon, along with his other palaces. 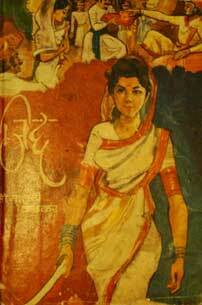 He was married to Umabaisaheb Dabhade, a gritty lady. It is said that when a Mughal sardar named Jorawar Khan Babi raided Ahmedabad, it was this unusually spirited lady who, in the absence of her husband, picked up a sword and led her army into battle (near Fort Bhadra). For her services the king personally travelled down to Talegaon Dabhade and presented Umabaisaheb with a gold toda (an ankle ornament), which remains a family heirloom to this day. 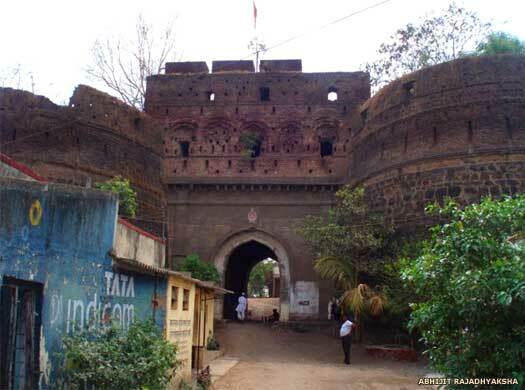 Umabaisaheb had a mansion built to accommodate the chatrapati (the king) and his entourage in Talegaon Dabhade which Shahu himself named Sawaiwada. Trimbakrao (1729-31) was the son of Khanderao, and was a valiant commander. Even after the death of his father, Trimbakrao took the Gujarat campaign to its logical conclusion and the Maratha's saffron banner flew over virtually every fort in Gujarat. Meanwhile, the Mughals still had pockets of control in Gujarat and were getting increasingly irritated with Dabhade's men, including Pilaji Gaekwad and Kanthaji Bande, who encroached at will on Mughal territory. The Mughal viceroy in Gujarat sought the help of Bajirao (who had by now become well known as a rival of the Dabhades), in curbing the activities of these freebooters. He even awarded the sardeshmukhi of certain areas in Gujarat to Bajirao's brother, Chimaji appa. Dabhade severely resented sharing the spoils of revenue-rich Gujarat with the peshwa. Bajirao proposed jointly sharing his newly acquired territory in Malwa with Trimbakrao Dabhade if Trimbarao could part with half his revenues at Gujarat. But Trimbakrao refused. In this matter, Shahu seemed to be more inclined to side with his peshwa, which incensed Trimbakrao even further. He allegedly began to flirt with the likes of the nizam, an arch rival of Bajirao, and with Sambhaji of Kolhapur, the rival of Shahu (this was, of course, after some alleged correspondence between Trimbakrao and the nizam was intercepted by the peshwa's men and presented before the chatrapati as evidence). Eventually Trimbakrao came out in open rebellion against the peshwa. The rival armies faced each other at Dabhoi (1731). Though Trimbakrao's army was much larger, it was very much divided and Bajirao successfully isolated it from its other division. But Trimbakrao wasn't a man to give up so easily. He dismounted his elephant and decided to take on his enemy man-to-man. Unfortunately, one thing he couldn't have counted on was the treachery of his own kin, Bhausingrao Toke. Toke shot him dead from behind once he had removed his helmet. After that, it was only a matter of time before the peshwa's army subdued Yeshwantrao Dabhade, Pilaji Gaekwad, and the others. Shahu had been extremely perturbed by this civil war between his own army commander and his peshwa and sought an immediate reconciliation with Umabaisaheb Dabhade, the mother of Trimbakrao and his brothers, Yeshwantrao and Sawai Baburao. The king even graciously forgave the brothers for their rebellion and saw to it that the title of sarsenapati remained with the Dabhades (although it is said that the peshwa had given orders to capture Trimbakrao alive, many historians believe that the killing of Trimbakrao Dabhade may have been the result of a conspiracy to remove him once and for all). The title of sarsenapati was passed to Khanderao's second son, Yeshwantrao Dabhade (Trimbakrao had married Laxmibaisaheb, but the couple had no issue). The remaining brother, Baburao Dabhade, was given the family title of senakhaskhel. Their territory and privileges were also left unchanged. The king was naturally pleased with his senakhaskhel's feat and in return gifted Baburao the mokasa rights for Umbare, Baglan, Khandesh and Karnatak. But tragedy continued to pursue the Dabhade household. Baburao Dabhade was poisoned and murdered in Khandesh. He left behind no issue from his marriage to Tarabaisaheb. The loyal commander of the Dabhade army, Pilaji Gaekwad, had also earlier been assassinated by a Mughal sardar named Raja Abhay Singh (the event taking place in 1732). An octroi was a tax that was levied by a local political unit, normally the commune or municipal authority, on certain categories of goods as they entered the area. Chauth was a tax that was regularly imposed by the Mughal empire from the early eighteenth century onwards. It originates in the Sanskrit word for a quarter. Yeshwantrao Dabhade suddenly felt very isolated and he blamed the peshwa family for his misfortunes. Yeshwantrao avoided providing service to the peshwas and started neglecting his affairs. As a result, control of the army passed to Damaji Gaekwad, the son of Pilaji Gaekwad. Yeshwantrao (1731-1754) was the son of Khanderao. Peshwa Bajirao had died in 1740 and was succeeded by his son, Balaji Bajirao. Shahu too had died by 1749 and Peshwa Balaji Bajirao was left in sole charge of the Maratha kingdom. The Dabhades were in charge of Gujarat's affairs and were to deposit half their income in the Maratha treasury, something that they failed to do. Due to his affection towards the Dabhade family, Shahu was lenient in his approach. However, Peshwa Balaji Bajirao was determined to recover half the revenue of Gujarat from the Dabhades. Yeshwantrao Dabhade was not in a mood to accept the peshwa's order to this extent. He had not forgotten his family enmity with the peshwas and desired retribution. He decided to join forces with Rani Tarabaisaheb, the arch rival of Peshwa Balaji Bajirao, and an attack on Pune was soon organised with the forces of Damaji Gaekwad. The peshwa's forces, led by Sardar Trimbakrao Purandare, were able to get the better of Damaji's forces on the battlefield at Alandi and Yeshwantrao Dabhade, his son Trimbakrao, and his mother Umabaisaheb, along with Damaji Gaekwad and Khanderao Gaekwad were soon captured and imprisoned. They were released only when they pledged to abide by the terms set by the peshwa. Damaji Gaekwad also agreed to abandon the cause of the Dabhades. The Dabhades themselves were left without any authority over Gujarat and had to resign their former office to retire to their jagir at Talegaon. 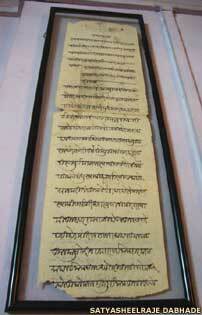 Yeshwantrao later took part in the Battle of Bednaur in 1754 and died on the banks of the Krishna. He left behind a son named Trimbarao from his marriage to Ambikabaisaheb. Trimbakrao Dabhade (1754-1799) was the son of Yeshwantrao. He succeeded his father as the senapati. He took part in the infamous Battle of Panipat. After Balaji Bajirao's death, Trimbakrao joined the forces of Raghunathrao against Peshwa Madhavrao (the son of Balaji Bajirao). But after the reconciliation between Raghunathrao and his nephew, Madhavrao, Trimbakrao felt threatened and approached the nizam, the old rival of the peshwas, for protection. Trimbakrao's estates were confiscated and handed over to Damaji Gaekwad, who proposed using them to pay off Trimbakrao's creditors. The peshwa's forces soon routed the nizam's army and Trimbakrao found himself in a precarious state. He died a disillusioned man at Verul. 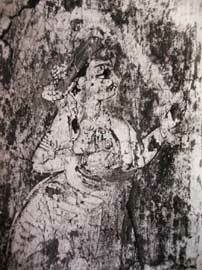 Trimbakrao was married to Laxmibaisaheb and had a son named Shivarao, who himself had died without issue. Without an heir at all, the Dabhades adopted a son named Yeshwantrao II. Due to the pressure exerted by the peshwa, Laxmibai Dabhade, the widow of Trimbakrao, was given a large jagir by Govindrao Gaekwad, the son of Damaji. But it came to light that the estate had already been mortgaged by his brother, Fattehsinghrao, to his creditors. As destiny would have it the Dabhade fortunes again came to naught. But Nana Phadanvis, the regent for Peshwa Sawai Madhavrao, came to their rescue and provided them with another jagir which yielded 50,000 rupees. Yeshwantrao was also known as Raosaheb (1799-1833). He was the adopted son and successor of Trimbakrao. He had a large jagir in Khandesh, but luck seemed to be as elusive as ever for the Dabhades. The peshwa's aide, Balaji Kunjar, who was supposedly eyeing up that property for himself, allegedly misled Yeshwantrao into raising an large army. Kunjar even provided Yeshwantrao with a loan to maintain the army, all the while promising that the peshwa would soon strike off those expenses from his treasury. To Yeshwantrao's chagrin, the peshwa refused and Yeshwantrao was forced to relinquish his jagir to Kunjar in order to repay the loan. Now completely disillusioned with the peshwas, Yeshwantrao cultivated the friendship of the English. By now they had overturned the rule of the peshwa in India. Yeshwantrao married his son, Bapusaheb (from his wife, Chimnabaisaheb) to the daughter of Daulatrao Scindia (the most powerful noble in the Maratha court and later an ally of the English), and proceeded to the Scindia jagir of Gwalior. He later shifted to Mathura where he built a formal garden and a mansion called Chinchachibaug. Eventually, he settled down in Talegaon where he built a formal garden called Yeshwant baug. Trimbakrao was also known as Bapusaheb (1833-1837). He was Yeshwantrao's son and successor. He married a woman named Mainabaisaheb. Baburao was also known as Babasaheb (1837-1864). He was married to Anandibaisaheb. A regency governed the Dabhade estates between 1864-1870. 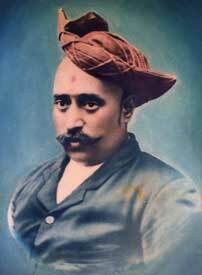 Khanderao was also known as Abasaheb (1870-1915). He was married to Rajasbaisaheb (from the Madhyalkar Ghorpade family). He was the founder president of Talegaon Dabhade municipal council, and built a mansion called Yeshwantbaug wada on his ancestral garden at Yeshwantbaug. 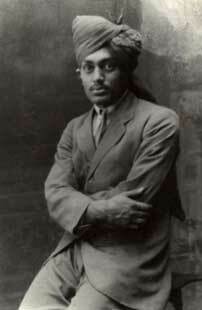 Yeshwantrao was also known as Raje Krishnarao (1915-1933). He was married to Tararaje (from the Nagpur Bhosale family), and after her death, he remarried, to Vatsalabaisaheb (from the Sardar Kadam family), and then he remarried again, to Laxmibaisaheb (from the Hande Deshmukh family of Janna). He served as the president of Talegaon Dabhade municipal council. He had two sons from his second marriage in the form of Veerdhawalraje (later the head of the senior branch of the family) and Vijaysinhraje (the head of the junior branch). Padmasenraje Dabhade is the current scion of the Dabhade junior house and resides in Pune with his son, Satyasheelraje Dabhade. The other members of the Dabhade royal family reside in Talegaon Dabhade and Pune.